Smoothies are wonderful for when you want breakfast in a hurry, but smoothie bowls are just the thing when you’re wanting to savour crunch, creaminess and fruity succulence all at the same time. 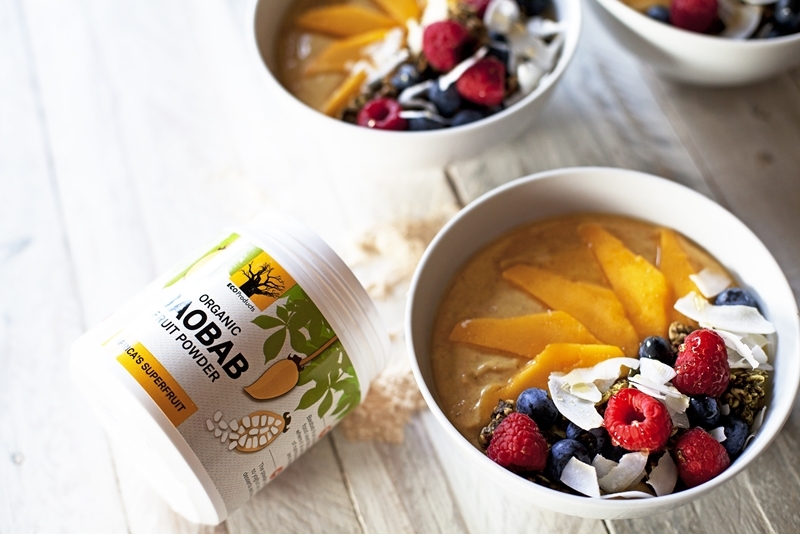 Light enough for post-workout nourishment and substantial enough to give you an energy burst to start your day, this mango bao-berry smoothie bowl ticks all the boxes. Organic baobab fruit powder adds a powerful anti-oxidant dose of Vitamin C and calcium, along with useful amounts of magnesium, potassium and soluble dietary fibre. Baobab fruit powder is also known for its prebiotic properties, thereby helping probiotics do their work. 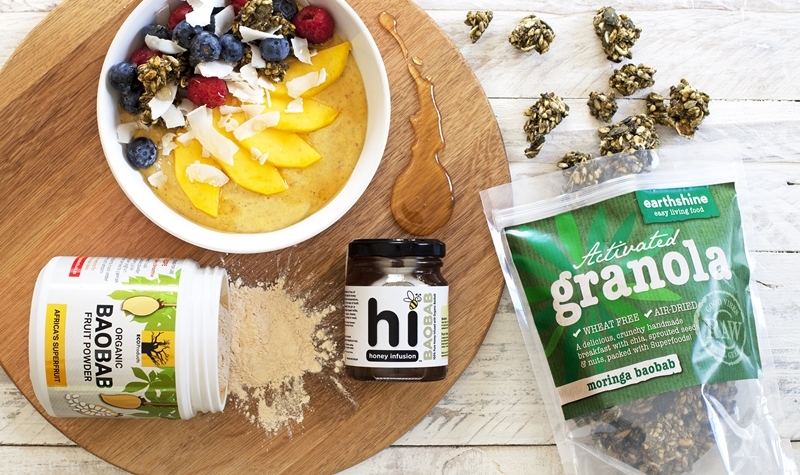 We’ve added in Earthshine’s Moringa & Baobab granola for raw nutritious crunchiness, colour and flavour as well as Hi Honey’s baobab infused honey – which combines the many benefits of raw honey with an extra infusion of baobab fruit powder. Especially developed and photographed for EcoProducts by Candice Douglas of the Social Post, this is a tried and tested recipe that focuses on exceptional taste using locally produced natural ingredients wherever possible. Pour into bowls, decorate with toppings (get creative! ), and serve. Try gently toasting the coconut flakes on a low heat.